As the weather turns warmer and the lakes warm up, Minnesotans are eager to get outside and enjoy the outdoors after a very long and cold winter. With all the awesome lakes and beaches around the Twin Cities, heading to the water is a favorite kid-friendly activity in the summer. Although our natural landscape is full of beautiful lakes, enjoying the water isn’t without risk. Drowning is the second-leading cause of accidental death for individuals between the ages of five and 24. And when children are in trouble in the water, often times they won’t splash, thrash around, or call for help—it can be a very quick and silent situation. Before you head out on the water this summer, celebrate Water Safety Awareness Month in May by learning a few simple water safety tips to help keep your family safe. Teach your children to swim—it’s a great life skill that can be learned when kids are young. At a minimum, ensure your children can float and tread water. The Y offers swim lessons for kids, teenagers, and even adults. 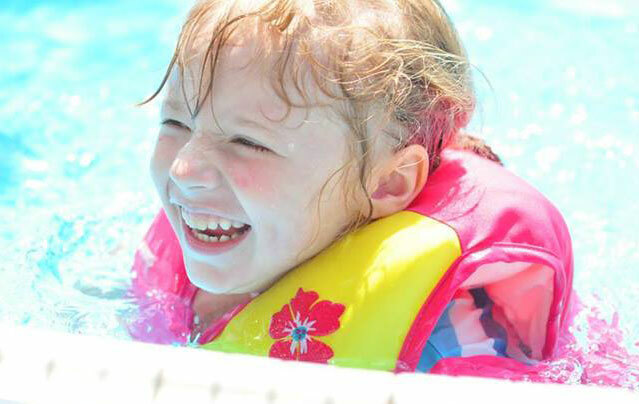 For non-swimmers, use Coast Guard-approved flotation devices—don’t rely on “water wings” or other inflatable toys to keep your little ones safe. If your child can’t swim, always stay within and arm’s reach. Keep your kids in sight at all times when they’re in the water—even if there’s a lifeguard present. If you’re with a group of parents and kids, consider having adults take turns to be the primary person to watch the children in the water. Select swimming areas carefully—look for well-maintained beaches and lakes that are supervised by a lifeguard. Stay in the designated swimming area and don’t go into the water if there are strong waves or currents that could pull your child under the water. Take a class in First Aid and CPR—the Y offers both types of safety classes. You can also find classes through the Red Cross. Robin is the director of Healthy Living at the White Bear Area YMCA. Robin is certified with the American Red Cross as a Lifeguard, Lifeguard Instructor, and Water Safety Instructor. Through the YMCA, Robin is certified as a Lifeguard, Lifeguard Instructor, Swimming Lesson Instructor, and Swimming Lesson Instructor Trainer.